On February 4th 2010, Facebook turned 6 years old. Well past infancy, and worlds beyond toddler, your cute little social networking site is a big boy now. With 400 million registered users and 200 million users active on any given day, Facebook has exploded into daily life as acceptably as the internet itself. In six years Facebook has grown from localized use to become a world wide networking application available to everyone on almost all media devices, even XBL introduced its new social networking partnership in 09. 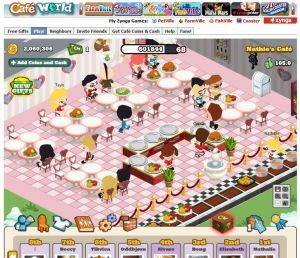 Given the popularity of the site and those who use it, you may find an increase in the number of people talking about and playing the newest social networking game. Even parents and *gasp* grandparents are finding themselves spending countless hours on animated farms, cafes and amusement parks. With such a captive and built in audience it is a no wonder developers are utilizing Facebook as a testing ground for all kinds of developments. The ability to track the demographics of this new gamer so specifically is a vastly appealing market research tool. As with any product, understanding your audience is key in developing and refining a successful product. Michelle, a 29 year old mother of one says she spends approximately one half hour per day playing Facebook Mafia Wars, Cafe World, and Farmville. Michelle feels that Facebook games “are just boredom fillers” and that they “are really not interesting enough” to carry the demographic over to console releases of the games. So what types of games are we seeing on Facebook? Sim games, games like Farmville and Café World seems to be dominating the news feed, while one can not help but notice a surprising rise in MindJolt games which include arcade, puzzle, strategy and sports games. We can draw some comparisons between the Facebook games of today and the games that got us first addicted decades ago with one important difference. 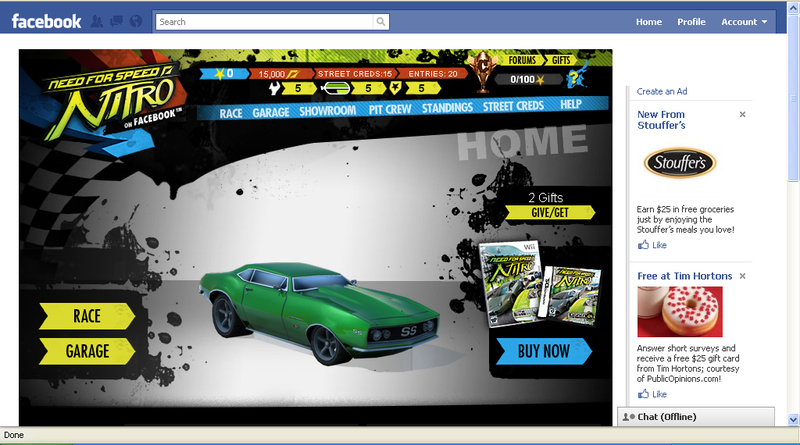 Social networking games, on Facebook specifically, are free or almost free in the world of downloadable apps. So as we see Facebook continue to be the critical social networking power house it has become, so shall we see the development of social networking games and the demographic of people who play them. We will also note carefully the growth of Facebook games to reach a new level of quality while expanding into more genres, getting to know you, the consumer, and better understand what type of gamer you are or will become. Does this mean that mom will make the transition from party games, puzzle games and real time games such as Farmville, Café World and others and jump into a Final Fantasy type RPG or Platform game? Probably not, but Facebook along with innovative developers such as EA, SGN and Zynga may be well on their way to bridging the gap to create a new type of video game player, further bringing video games into the daily lives of everyone. Posted on July 6, 2010, in Uncategorized. Bookmark the permalink. Leave a comment.